If you’re new to digital marketing, search engine optimization (SEO) may seem a bit mysterious. While it’s true there are a lot of rules, many of which seem to change frequently and aren’t totally transparent, there are some simple SEO basics that anyone can learn and apply to their content to increase traffic from organic search. Search engine optimization is exactly how it sounds: optimizing your website’s content for search engines. That way Google (and other search engines) can easily index your content, categorize each of your pages based on the information they contain, and then serve those pages up to people who are looking for that information on the Internet. By making some simple tweaks to your website’s content, users who are searching online will be more likely to find you, which means increased traffic to your site. One case study by Backlinko shows an incredible 385% boost in organic traffic that resulted from SEO efforts. According to Search Engine Journal, 70-80% of users ignore the paid ads, focusing instead on organic search results. SEO is one of the cheapest and easiest ways to drive more traffic to your website. Frankly, by not optimizing for search, you’re leaving visitors on the table. To develop an SEO strategy, it helps to first understand the basics of how search engines work. A search engine’s main process is threefold: crawling, indexing, and querying. Let’s define each. Crawling: A search engine runs a software program called a “spider” to find content on the web. Indexing: The search engine analyzes the content it finds to determine what it’s about, then indexes it–or organizes the content–so that it’s quickly retrieved when the next step occurs. Google’s algorithm is a program that analyzes a series of unique characteristics of each web page it indexes. 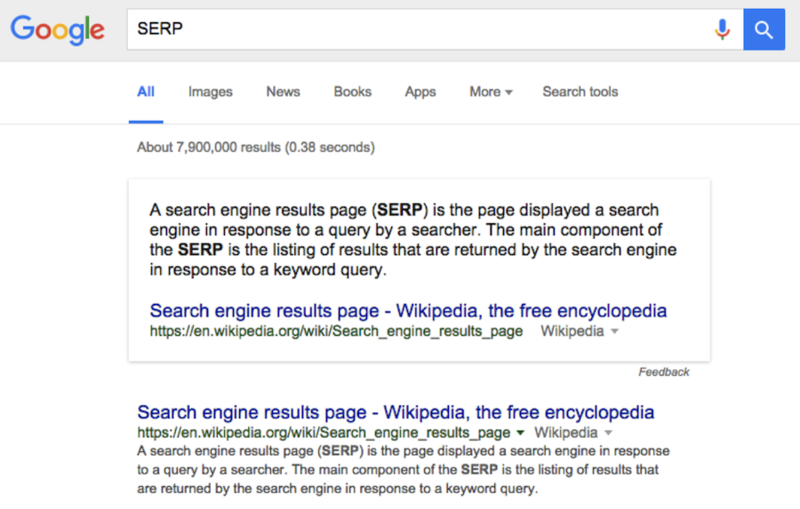 This helps Google serve up the most relevant pages in response to a user’s query. Very few people know the actual details of Google’s algorithm. That’s because Google keeps its exact algorithm secret, and it updates it frequently, which keeps the SEO community on its toes. That said, by studying how content performs, analysts have arrived at some conclusions as to how you can make your content more attractive to Google’s algorithm. How Do I Attract Google’s Attention? This is the crux of why we’re here: to learn how to get Google’s attention with SEO in order to rank higher and increase traffic to your website from search. So what exactly is Google looking for? First, let’s talk about what Google is NOT looking for. In the past, many SEO experts were in the business of gaming the system in hopes of getting top placement on SERPs to attract users. They churned out massive amounts of low-quality, “thin” (300 words or less) content pages on a variety of topics. They would pack these pages with keywords, which are words that appear in popular search terms. At first, this scheme worked, until Google caught on and updated its algorithm to foil this strategy. These days, the most important thing to understand about SEO is that your content must be high-quality, informative, and satisfying to a user. In essence, if your content impresses a human, then it will probably impress Google. If Google trusts your page enough to serve you up as a top result to a query, then that page better deliver a great piece of content to the viewer. If a high percentage of users leave your page without clicking through to another, resulting in a high bounce rate, Google will penalize you for it. Here are two key characteristics of content that we know Google favors. 1. Length: If you’re gunning for a piece of content to appear on a top search engine results page, aim for about 2,500 words for prized content pieces. Why? Content that is well-researched and covers a topic in depth impresses Google. 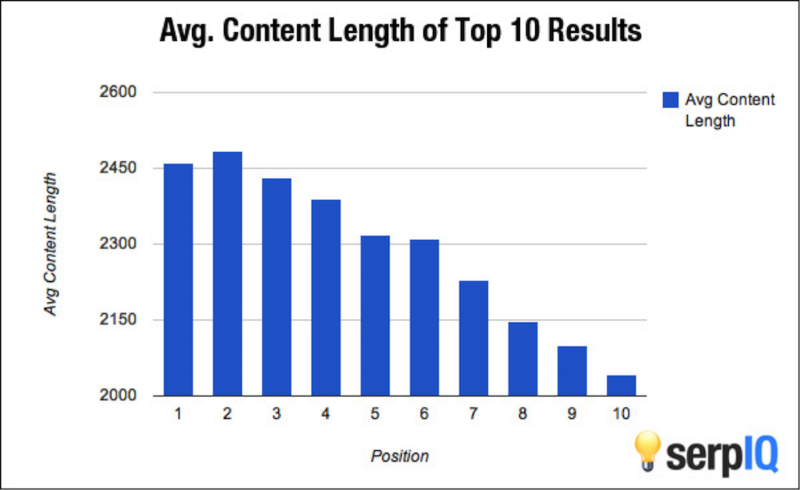 In a survey of 160,000 pages, serpIQ determined that the top SERP results were reserved for web pages that that were longer, with a decline in search performance that generally correlated with declining length of content. 2. Freshness: To stay on Google’s good side, keep your website updated with fresh content on a regular basis. When Google’s spider crawls and indexes your site, they give you a freshness score, which factors into their algorithm. If you don’t update your site at least weekly, it will start to appear stale to Google, and therefore less appealing. That said, keywords are still an important element to incorporate into your SEO strategy. Keywords can help determine what you’re going to write about so that you have the best chance of attracting traffic. How do you know which keywords are going to bring visitors to your site? This bring us to the question: What’s a keyword? We explained it briefly above, but in a little more depth, a keyword is a word or a short phrase that shows up in popular search queries. By doing keyword research, you discover which keywords have the potential to drive the most traffic to your site. You use keywords by writing content that focuses on topics that cover those keywords, and you make sure to include those keywords in your content. Google’s Keyword Planner is the SEO professional’s best tool when it comes to knowing how to write content that’s relevant and is bound to get organic search traffic. In a nutshell, you can use the keyword planner to discover what search terms are popular in your niche. If you want a detailed look at how to use the planner, check out Backlinko’s guide. In brief, a title tag is the title of your page or article. Your title tag is going to appear on SERPs, at the top of the page in your browser, and when you share your page on social media. Your title tag should display a concise and accurate description of the content on the page, as this is critical to both user experience and SEO. Keep your title tag between 50-60 characters. (The above example is 58 characters.) This prevents a too-long title from getting cut off in search results. Your title must accurately describe the content on the page. Put your keywords toward the beginning of the title tag. It’s also important to remember to never reuse the same title tag for multiple pages on your website. Duplicate content on your site will get you penalized by Google. If you have two pages that are similar in content, either combine them into one page or come up with ways to differentiate and vary the content, which will include the title tags. Before we define a meta description, it helps to define a snippet. 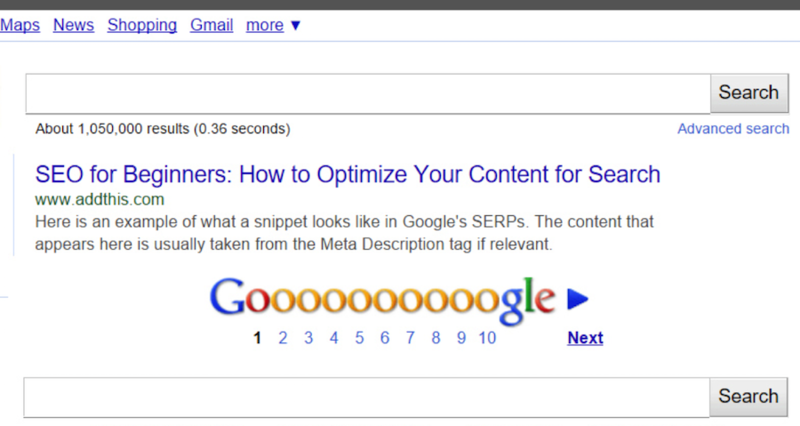 A snippet is a description that Google displays on a SERP beneath your title tag. The snippet is a brief summary of your page so users can get a preview of what the page contains before they click. A meta description is also a brief summary or description of your page’s content, but it’s composed by you. You can install an SEO plugin within your CMS, such as Yoast, that allows you to offer Google the content of the snippet. If Google decides your description is relevant to a user’s query, your meta description shows up in SERPs as a snippet. If you don’t compose your own meta description, then Google will display its own snippet from the content on your page. You can easily add title tags and meta descriptions to your content with the All In One SEO WordPress plugin. Now that you’ve got some basics down, we have one last topic to cover: links. How Do Links Help With SEO? Links on your website can provide great value in terms of SEO. There are two different types of links you can include in your web content: internal links and external links. An internal link connects one page of your website to another. For instance, your homepage might link to the “contact us” page on your site. In the case of an internal link, the source domain and target domain are the same. Internal links help users (and spiders) navigate your site easily and efficiently. An external link is a link in your content that directs the user to a different, outside domain. Done right, links to external content should show that your content is well-researched from reputable sources, which Google likes to see. Links from sites related to your product or topic are usually more valuable than links on unrelated sites because related sites provide more topical relevance. The link’s text–commonly referred to as ‘anchor text’–matters, but not as much as it used to. Overly optimizing your anchor text can actually get you penalized by Google! In the past, SEO experts thought it was best to stuff keywords into anchor text. Now we know the best method is to simply write naturally and link accordingly, without trying to game the system. The number of links included on a page matters in terms of SEO. You want to post enough links, but you also don’t want to post too many links. When a page links to multiple web pages, Google divides the value of the links by the number of links on the page. This means that the value of one link among many is diluted, compared to the value of a single link on a page without many others. So if you have important content you want to call to Google’s attention–be it your own internal link, or a valuable outside resource–be careful not to water down that value by linking indiscriminately. 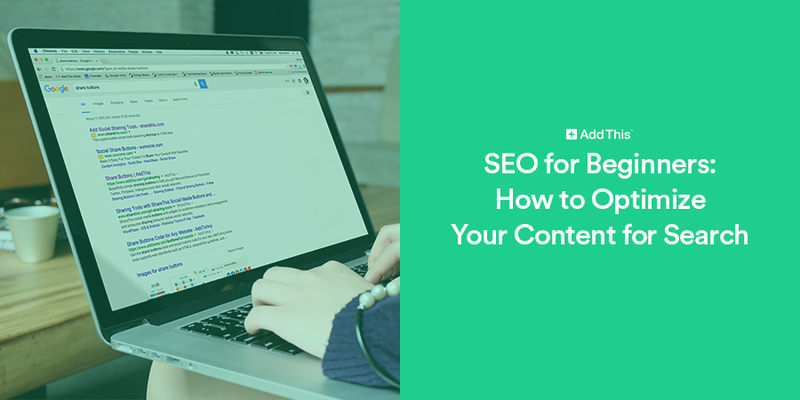 Now that you’ve got a solid understanding of the basic ways SEO can work for you (and against you, if used incorrectly), you can employ these strategies to create superior content. Plus, you’ll also increase traffic to your website from search. This means that new users who are searching topics that relate to you will be able to better find you among the sea of content creators on the Internet. For even more helpful tips on how to improve your website’s SEO, download our free SEO ebook: A Beginner’s Guide to On-Page SEO.